The perfect solution to the safe shipment of expensive drinks is the best quality bottle boxes. It reduces the damage caused to the bottles and safely delivers the product to the end consumer. It is vital to ensure the quality of the bottle box as in the past suppliers have come across huge amount of loss as a result of damaged glass products. We offer our clients with the high quality bottle boxes that certainly will protect your glass during shipment. We also manufacture custom designed bottle boxes that is manufactured for high value, fragile bottles that entail extravagant packaging. Our company provides hundred percent assurity as to the safe storage and delivery of valuable bottles. 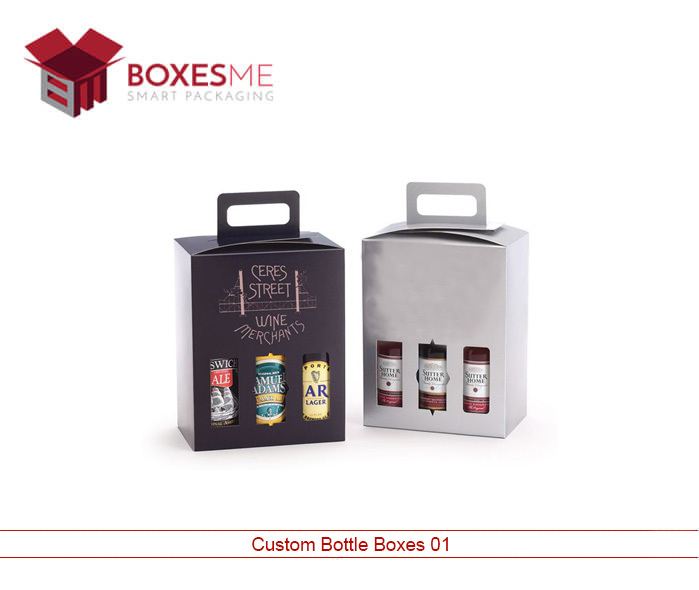 With the rise in demand for extravagant packaging to store fragile products, the BoxesMe has initiated the production of high quality bottle boxes that suits the client requirements. For extravagantly expensive bottles we provide padded packaging to deteriorate the breakages. The fragile products are cushioned technically with additional safety provided by the external layer of the box therefore exhibiting the most convenient way to ship multiple bottles. The cardboard boxes are made with high quality corrugated card that provide shelter to the product. During the transportation of multiple bottles it is vital to install divider pads that wont allow the bottles to bump into each other thereby securing the delivery of the product. We look forward to entertain our clients with the most reliable bottle box. 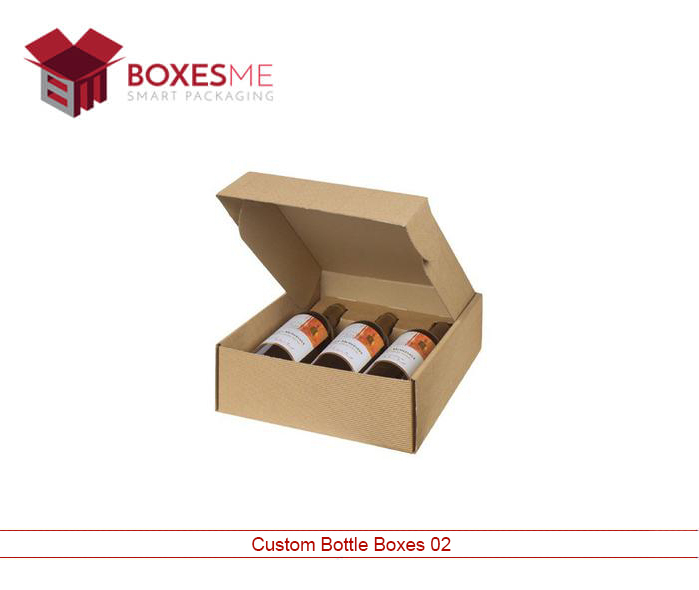 The custom-made bottle box is designed considering the specification of the bottle in terms of quantity and type. The more delicate the bottle is, the more rigid will be the material used in the bottle manufacturing. Our experts considerate of every minor detail help clients find the right box. 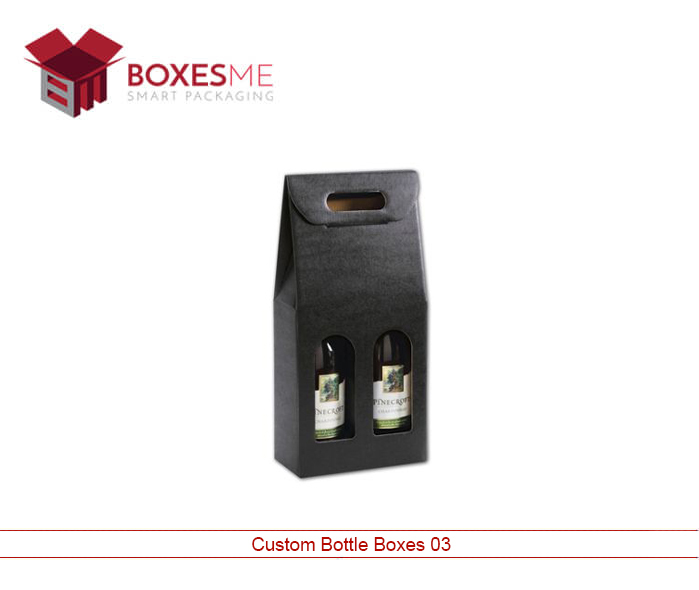 The window inserted bottle boxes are particularly designed to enhance the revenue of the product. It helps to generate accelerated revenue with the outlook of the box that defines the quality and taste of the bottles inside. The consumer can look at the flavors of the drink thereby helping them decide whether to make the purchase or not. The display is likely to encourage demand of the product. We focus on the design of the bottle box that not only provides safety to the bottle but also enhances the consumer demand for the specific product. The manufacturing department has evolved over the years with the adoption of high technical staff and advance technology. This has allowed the production process to be more efficient and generate bulk production at a reduced cost. 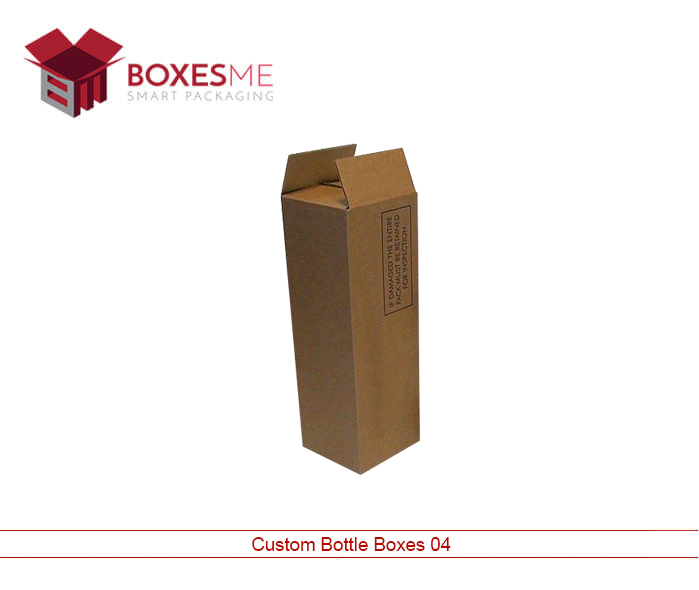 As a result of efficiency in manufacturing, the client can avail the same quality bottle boxes at a lower price. We look forward to consider any amendments the client desires and continue to provide the most user-friendly bottle boxes.